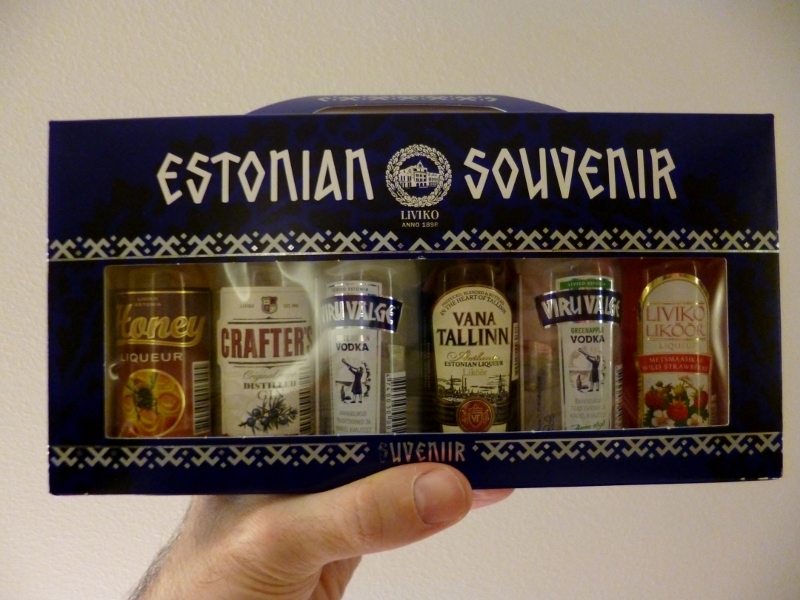 My Estonian adventure lasted just 7 hours. Even if it was still three times longer than my Liechtensteinese one, that was still kind of a symbolic visit. I came from Helsinki via a short 150-minutes ferry ride. Worth the day trip! Many Finns do it to enjoy tax-free shopping and tax-free drinking. They drink on board both ways and they shop tax-free alcohol on their way back to Helsinki. The boat is like a floating restaurant with a huge tax-free shop! 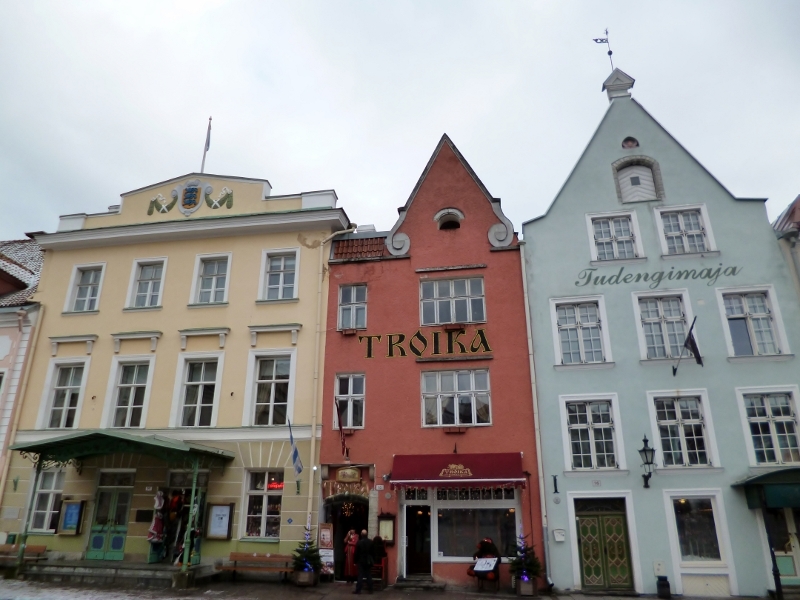 Considering the limited time, I focused my Estonian day on the UNESCO-listed Old Town of Tallinn. 400,000 people live in Tallinn. That is roughly one third of the country population. There was a thin layer of snow on that February 2016 day. The temperature was not much higher than 0°C. The medieval character of the old town is remarkable, making the newish orthodox church look awkward. The view from the top of Toompea hill is hard to beat. The stand selling hot wine on top of that hill hard to resist. What else? 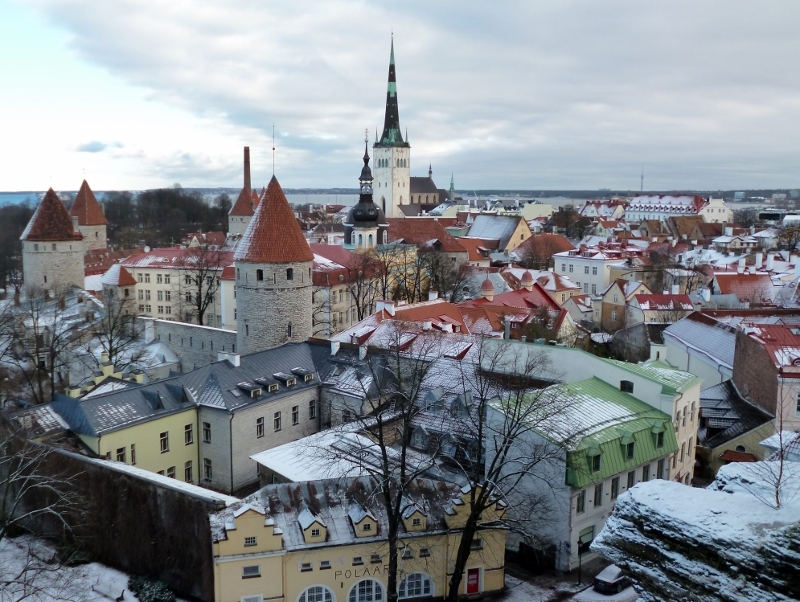 Tallinn is a harbour city on the Baltic Sea, thus a trade hotspot. The currency is the euro. And Estonia is the birthplace of Skype! Estonians do speak Estonian, which is a close cousin of Finnish, as easy to master, with its 14 cases and numerous specific vowels. Example: hauaööõudus, a hardly translatable word intertwining ‘grave’, ‘horror’ and ‘night’ that sounds rather halloweenish, doesn’t it? As can be read on the floor just outside a museum I forgot the name of, Estonia will celebrate its 500th anniversary in 2418. Local delicacies include local vodka and liquors. As often, this trip was looking like an introduction to the country, calling for more, for example an exploration of the two big islands: Hiiumaa and Saaremaa.